Jonathan Swift argued in A Modest Proposal that children of the poor should be eaten. He went to a rhetorical extreme in order to illustrate the absurdity of a perspective he mocked and opposed. In order to illustrate how absurd Facebook’s new privacy policies are, I want to imagine a fictitious but analogous situation: Imagine Google announcing that our Gmail contacts and Google Reader subscriptions were to be made publicly visible to the web at large. If you don’t want the world to know who you are communicating with and what you are reading, maybe you shouldn’t be communicating with those people and reading that content. The tools you’ve used to communicate and read privately must stay current with the times, right? In the middle of December, Facebook began prompting users to re-evaluate their privacy settings on the site. If users had not changed any privacy settings in the past, then the privacy of status updates, photos, videos and shared was switched to a new default. No longer visible only to approved friends, that data was now by default publicly visible to everyone. That default could be opted-out of, though, and users could return their activity update settings back to private, limited to friends only. Other user-data was switched from private to public without recourse for users. User profile pictures, fan pages followed and lists of friends on the site are now made publicly visible and cannot be limited in their visibility. 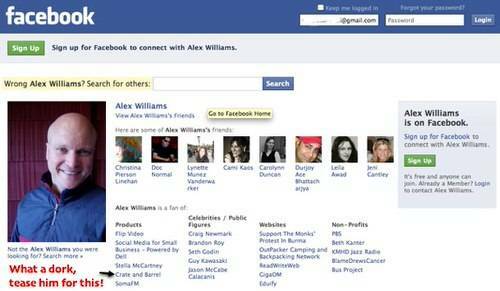 A fast backlash led the company to allow friends lists to be removed from public-facing profile pages, but anyone’s friends lists are still publicly available by programs that ask for it. Friends lists can no longer be made accessible only to trusted friends on the site. RSS never caught on in a big way, but Facebook democratized online subscription to syndicated content. Now your interests and subscriptions are naked as a jay bird before the world. Requiring that Fan pages be public is important because that’s how users express their interests and subscribe to updates from organizations they care about. RSS never caught on in a big way, but Facebook democratized online subscription to syndicated content. Now your interests and subscriptions are now naked as a jay bird before the world. Why did Facebook do this? Company founder Mark Zuckerberg said this weekend that this is the way the world is moving – towards being more public and less private. He said that the company recently considered what settings it would apply if the site were to be created anew today and “just went for it.” I explained yesterday why I don’t think that move has been backed up by a credible argument, why privacy is still important. Last night I heard a story about a podcast for parents struggling to conceive a child. Some Facebook users have said they feel unable to subscribe to updates from the show as Fans on Facebook because they don’t want friends to know they are trying to conceive. Becoming a Fan but being discrete about it isn’t an option anymore. Stories like that are probably much more common than we might think. Consider now what it would be like if this same changes were to be made to a different set of technologies many of us use. Let’s Open Up GMail Contacts and Google Reader Subscriptions! You may have signed up for GMail and Google Reader because you thought they would be effective, private and secure ways to communicate with people and subscribe to news of interest – but you were fooling yourself if you thought that information wasn’t going to be made public someday! Don’t you know that privacy on the Internet is an illusion? Do you know how little money Google is able to make from Gmail and Google Reader with your data left private? What do you mean you use Twitter to communicate with people publicly and Gmail to communicate with them privately? Have you seen how seldom people talk about Gmail on TV these days? What’s a web service to do? It’s really a sign of the times. People are blogging more and more these days, you might even have a public blog on Google’s Blogger.com. That’s evidence right there that it’s time to make your subscriptions and contacts public, too. Google Reader and Gmail are both much smaller than Facebook; half as many people use Gmail as use Facebook. Google Reader is much smaller still. Contacts and subscriptions on Facebook are public now – clearly society is moving in this direction. If you don’t want people to know about who you are emailing and what you are reading, maybe you shouldn’t be emailing them and reading it. Think this analogy is a stretch? Think that hundreds of millions of people don’t think of Facebook as a private way to communicate with the friends they’ve approved, just like you do with Gmail, and to read updates from organizations they are interested in, but don’t necessarily want everyone to know about, like Google Reader? I don’t think it’s a stretch at all. I think these are similar tools for many people. We give Facebook a hard time, but we love the site, too.  Come be a fan of ReadWriteWeb there. You won’t be able to hide that from anyone, but maybe it will distract people from your Comedy Tweets obsession.